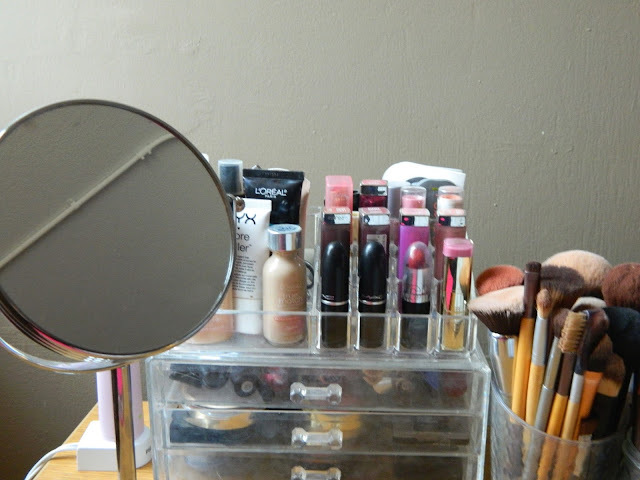 I'm so glad that I'm finally getting around to doing one of my most requested posts! 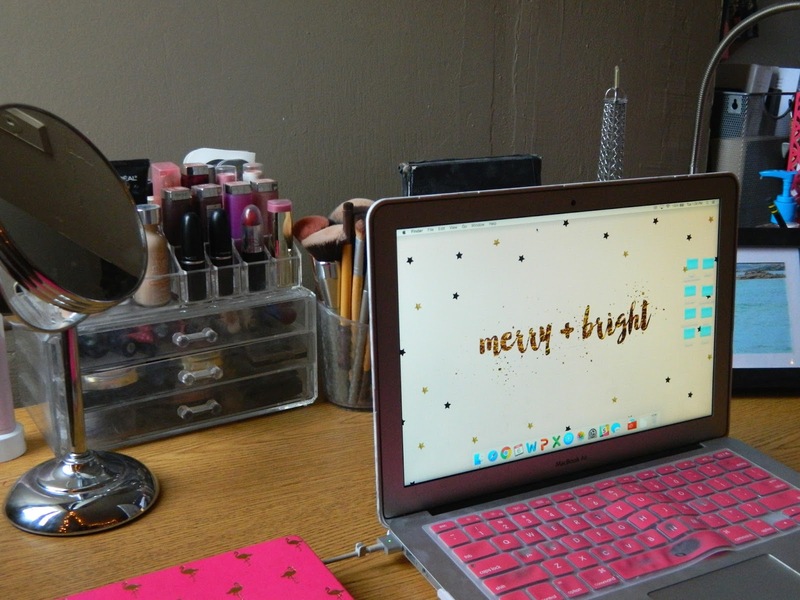 Today I'm sharing with you my college dorm room tour... YAY! 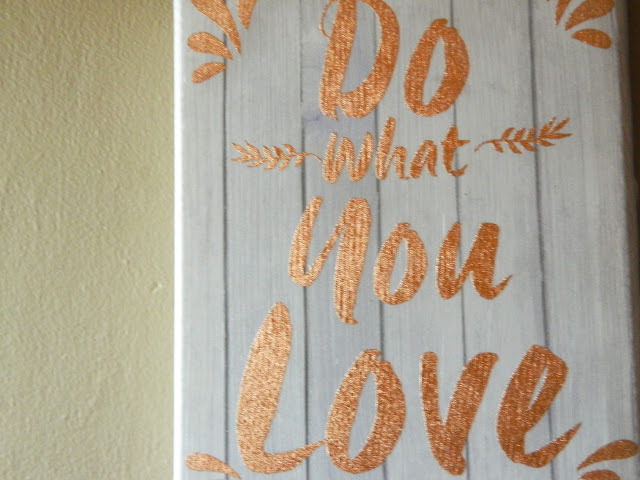 I'm also really excited about this post because I filmed a YouTube video to go along with this post (click here to watch, I would greatly appreciate it!). I've never made a YouTube video before and I've always wanted to try it out, so I figured this would be the perfect post to try it out with. I'll also embed the video at the end of the post so you can check it out of course! I wanted to make a blog post to go along with it though so I could talk more in depth about some of the decor products and the other things I have in my room. Hope you enjoy! SO, as I am a sophomore this year, I live in a suite style room. I have one roommate (shoutout Sara!) but I'm not sharing her side of the room because I don't want to invade her space (haha), but hopefully you guys will get the idea from seeing my side! We share a bathroom with two other girls, so it's so much nicer than the gross community bathrooms we had freshman year. The building isn't the nicest, but we've been able to make our room cute and homey! Disclaimer: My side is VERY simple. I don't have a ton on my walls, but I actually prefer the simple look. If you're looking to see a completely decked out Pinterest dorm room, this probably isn't the post for you! I personally think I've made it really cute with a few simple decor items and string lights, so I hope you like it as well! As you can see, I also have these hanging lights up around my bed. 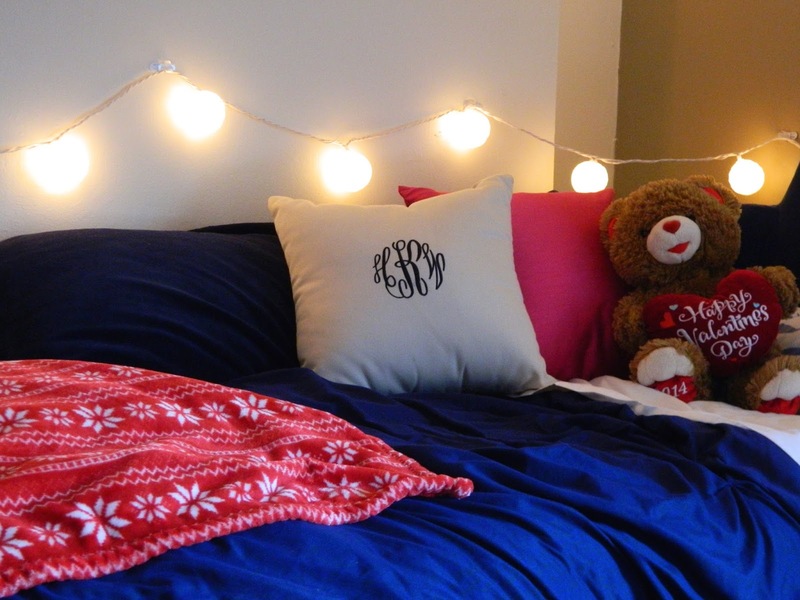 They're perfect for dorms and they're so cute! I have some regular white Christmas lights lining the perimeter of my side as well. Next is my desk area. I actually keep a ton of stuff on my desk because I use it all the time, and I like to have everything in reach. I just have this picture of my boyfriend and I attempting to boat in a broken sailboat (...), but I love that picture! I have a pencil cup that obviously holds my pens, pencils, highlighters, etc. I have my Eiffel Tower figurine that I LOVE, just to add a little fun to my desk. 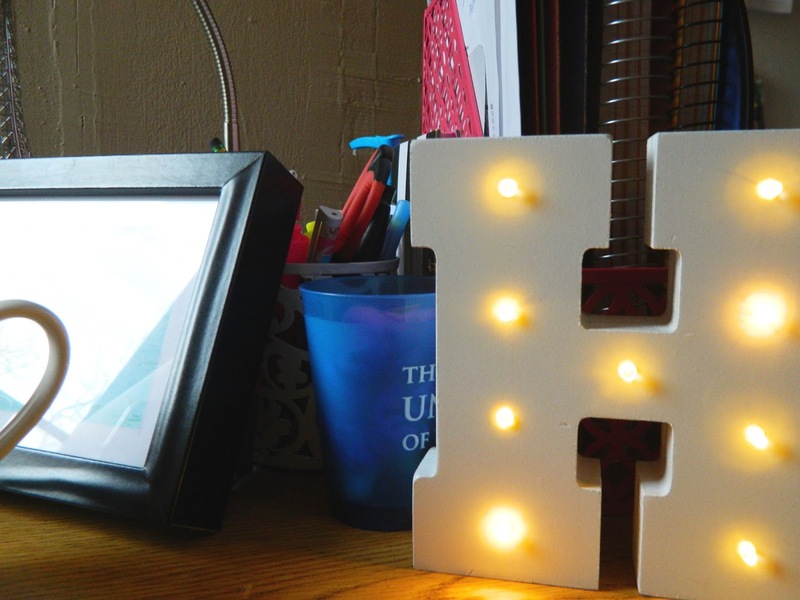 Here's my light up "H" (shoutout to Sara again for finding this!). I've been looking for an "H" for so long and I could never seem to find one, but here it is. 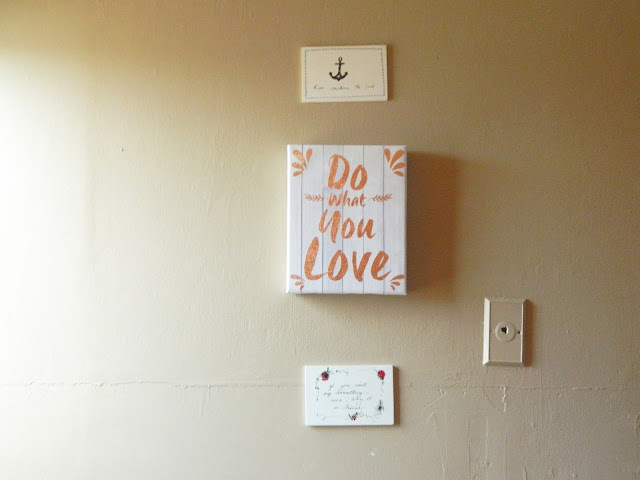 My friend got me this cute sign, so I decided to put it on my wall (hey Cea!). It says "If you can't say something nice, say it in French". 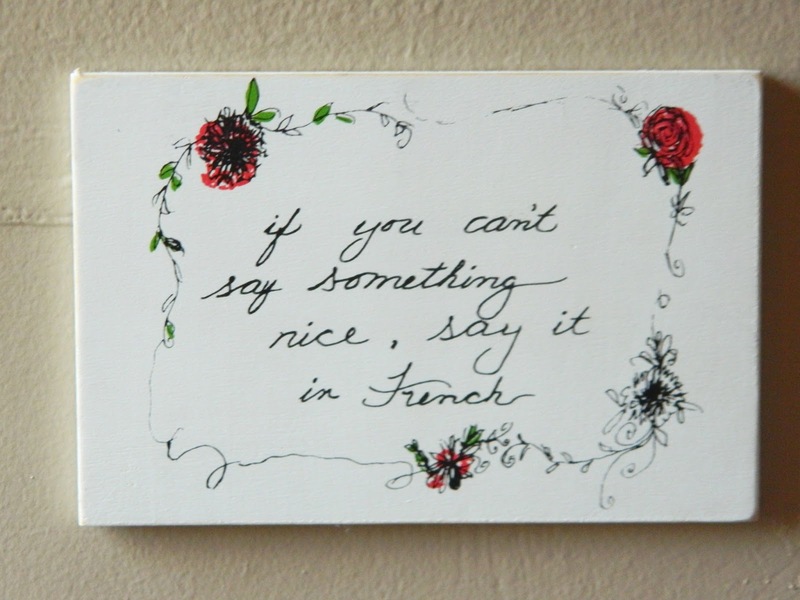 I've taken French since 7th grade (mind you I'm absolutely terrible at it), but I still think it's such a pretty language! Closet time... 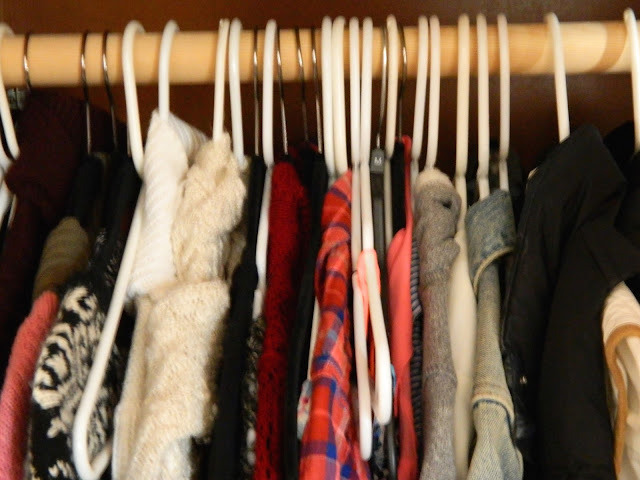 I try my best to keep my closet fairly organized (although sometimes it's a disaster), but I just keep my sweaters, jackets, dresses, vests, and a few nicer shirts that I want hanging in here, and then the rest of my clothing remains in my dresser. There's a little shelf above the closet area so I like to keep my perfumes, jewelry, and hair elastics and such up here. And there's my mouth wash peaking out! 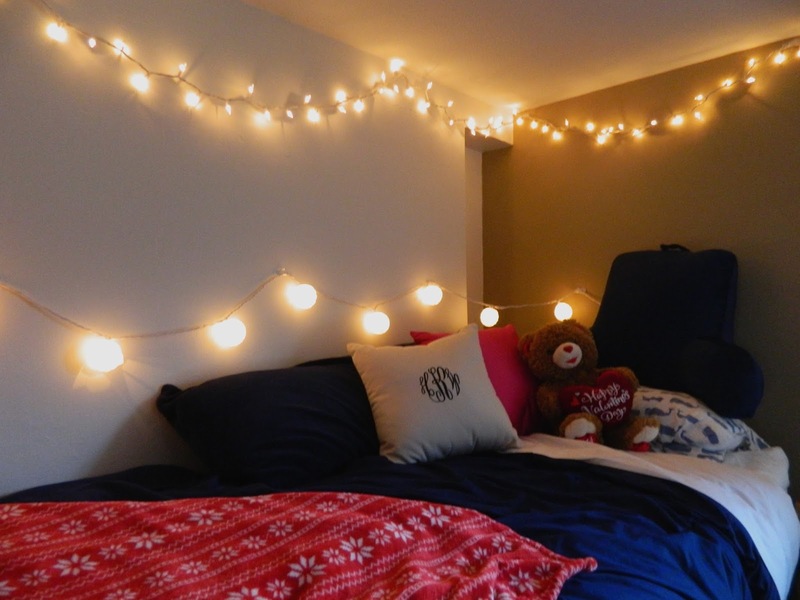 How have you decorated your dorm? 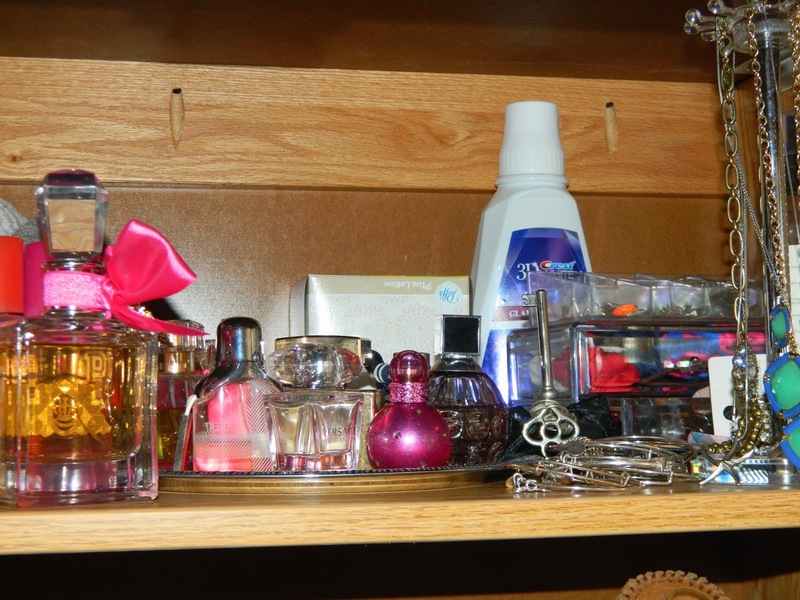 OR how did you decorate your dorm when you were in college? I love your little decorations!! Aww this makes me really miss my dorm room back in college! 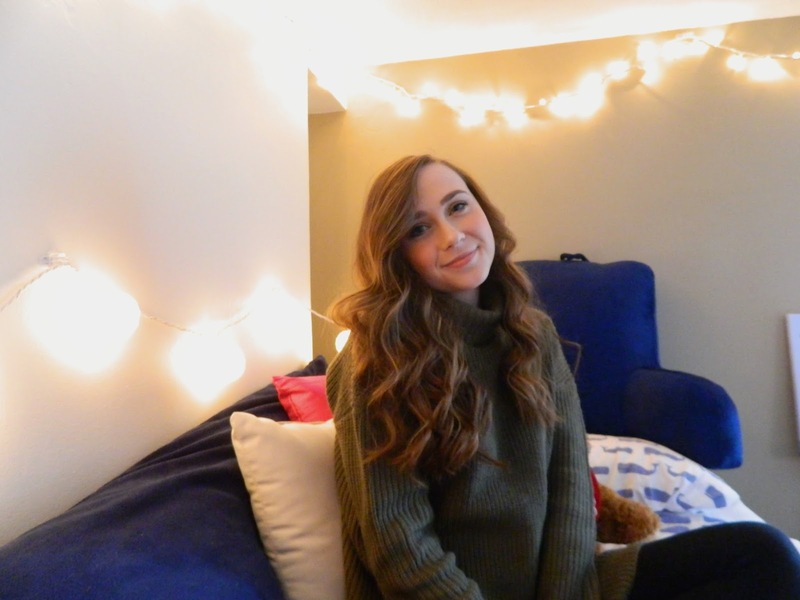 Your room looks so cozy and cute I'm so jealous :) Have an amazing holiday season hun!